IT'S TIME FOR YOU TO MEET THE TRIBE. Which is why it’s no wonder that when people think of SimplyBe., they think of, well, me. After all, I started SimplyBe. as a solopreneur with a client list and contact book that I built for myself from my Cheeky days. This company is something that I’ve grown with my blood, sweat, and tears, and I feel a valid sense of ownership toward it. But the truth is, I haven’t done it alone. Hire people who are equally as passionate about your business as you are, and get out of their way. I’m thrilled to share that I have found those people. This team of incredibly talented women, who care so much about and work so hard for SimplyBe.’s success, have been at my side for the past couple of years. It’s time that they become the face of the company, too. It’s time for you to know each and every one of them. I know the power of strong personal branding, which is why it’s my goal to be the type of boss who invests in her team’s personal brands, giving my team members the platform and resources to grow into strong professionals who chase their dreams and speak up for their passions. Because as much as I want to see my company grow, I want to see my team grow (together and as individuals), and there’s no reason that that growth can’t be simultaneous. Just a quick example: this past week, our rockstar Creative Director, Aleksa Narbutiatis, led an incredible Instagram workshop to a sold-out group. For the almost 40 people in attendance, Aleksa became the face of SimplyBe., the person they would think of when they saw our logo or read about our company. This is because her passions and expertise provide value unique from mine, not just to our company and clients, but to our audience. People who might not connect with me can connect with Aleksa, and through her, SimplyBe. The same goes for Pooja, Nora, Rea, and Maiya. There’s power in the Tribe, my friends. I see unbounded potential in every person on my team, which is why, starting now, I’m taking a step back. I’ll still be posting on my blog from time to time, and I will obviously still be at the hull of the SimplyBe. ship, but I’m inviting you onboard now, to see, up close and personal, the people who really make us sail. My extra time and energy is going to be devoted to doing what I love most: investing in the people that I care about (my clients AND my team) by helping the world around them see their power. How is this going down, you ask? SimplyBe. Agency is launching its very own blog, with fresh content in the form of blogs (and videos! ), coming at you WEEKLY. This original content, that is now live on our website (!!! ), is written about our team, by our team, and all for you. In conjunction with our #TuesdayTeamTakeovers on Instagram and our exclusive Facebook group, The SimplyBe. 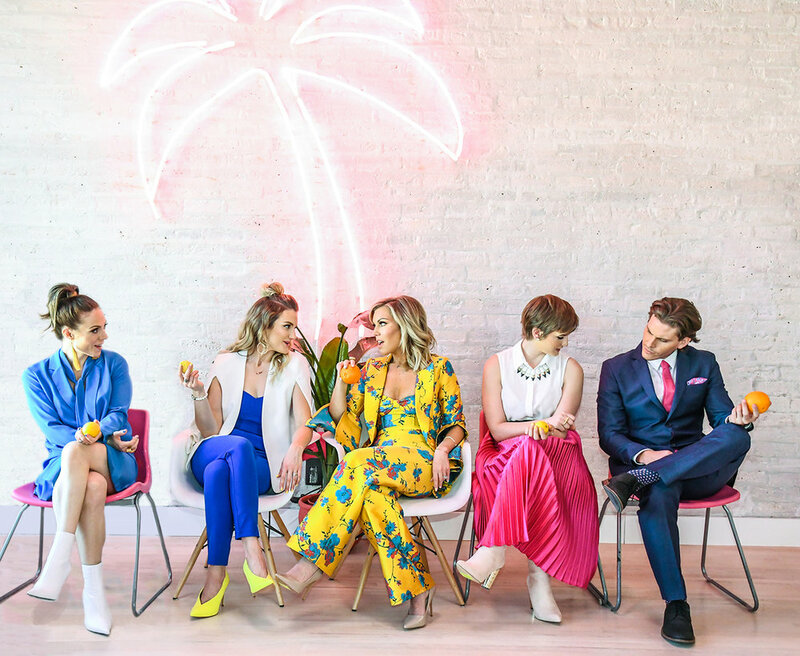 Tribe (you’re gonna want to apply) our blogs are going to be a way for you to directly connect with the SBA team and learn a little more about what makes these EPIC women tick. You’ll also be receiving emails in your inbox from them, as well as me. It’s my hope that through these articulate, fresh, fun peeks into my team’s minds, you’ll get to know not only SimplyBe. a little bit better, but you will get a deeper understanding of what personal branding really means, and why everyone has a uniqueness worthy of exploiting in the service of others. Your personal brand is your superpower, and my team = living, breathing examples. Get ready to get a whole lot cozier with the SBA team because they’re ready to meet you. I cannot wait for you to meet them.